Mama Loves the Beach! : Stars of the Sea . . .
Stars of the Sea . . .
My cousin, Lauri, lives in Alaska. She's a California native who moved to Alaska over 25 years ago. Her lifestyle fits her self-reliant nature perfectly. Lauri lives by the sea and walks the beach nearly every day photographing Alaskan sea life and wildlife. She is compelled to know about her surroundings and the creatures that inhabit her shared haven. After reading my last post, Lauri brought to my attention that 'sea star' is the correct name for what I mistakenly identified as 'star fish'. Sea stars are star-shaped invertebrates living on the rocky sea floor. There are about 1800 known living sea star species that are distributed across the globe. The greatest variety of these are found in the tropical Indo-Pacific. Some other regions where they are widely found are the temperate regions of Australia, the cold-temperate waters of the North Pacific (California to Alaska), and the tropical East Pacific regions. These marine creatures can be sized from ½ an inch to over 3 feet in diameter and can live up to 35 years. Leather Star, Vermilion sea stars and Cushion stars are some of the common sea stars along the Pacific coast. Sea stars are often referred to as starfish, however, the point to be noted is that the sea star is not a fish, which is why marine scientists have preferred to change its name from starfish to sea star. Sea stars and fish come under Kingdom Animalia. However, since fish are vertebrates, they belong to phylum Chordata, and sea stars along with sea urchins, brittle stars, feather stars and sea cucumbers come under phylum Echinodermata. Echinoderms exhibit a radial symmetry, which means that their arms radiate from a central disk outwards. Echinoderms are also characterized by tube feet, an endoskeleton that is made up of ossicles and plates in their body wall (may be large or microscopic). The Unseen Costs of Pollution . . .
Suja Lowenthal is an enormous asset to her city and an inspiring activist for our oceans. I was so moved by Long Beach Vice Mayor, Suja Lowenthal's passionate presentation I wanted to share it with you . . .
Vice Mayor of Long Beach, CA Suja Lowenthal, discusses the growing economic costs of collection and disposal of plastic – the externalized costs of plastic pollution. "Change starts with each of us"
2.2 million dollars to clean up Long Beach coastline. 20 million dollars invested in cleaning up pollution just in Long Beach alone. Low tech trash clean-up: Catch Basin Debris Diverters ~ ‘Treatment Train'. Helps to keep trash out of our oceans. "Cleaning up pollution is a very lonely endeavor." LESS THAN 5% OF ALL SINGLE-USE PLASTICS ARE RECYCLED! 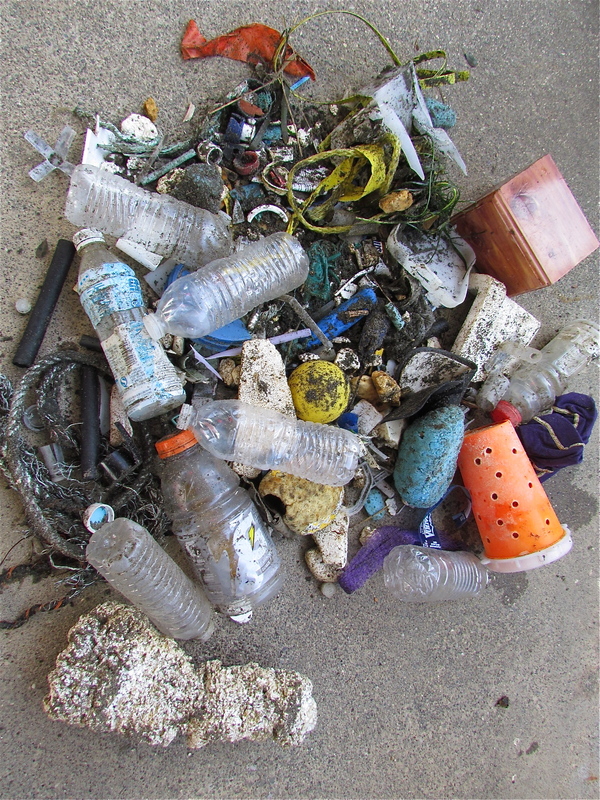 2.4 million pounds of plastic is dumped into our ocean every HOUR! One thing you can do today to stop the flow of plastic into our oceans is to STOP BUYING ALL SINGLE USE PLASTIC. REDUCE, REUSE, recycle . . .
SAN FRANCISCO (KGO) -- Researchers have discovered a rare white porpoise in the San Francisco Bay. The discovery is thrilling environmentalists, who were already excited to see any harbor porpoises coming back after they disappeared decades ago. On any given day, dozens of harbor porpoises are swimming right under the Golden Gate Bridge. Bill Keener knows many of them by sight. In the last two and a half years Keener and a team of observers have photographed more than 200 individual porpoises. The porpoises do not have names, but they do have code numbers. There's handsome SFB 78 with a rugged scar, the dutiful mother SFB 34 with her jet black calf and SFB 179, whose tail may have been bitten by a shark. Harbor porpoises are about five feet long, roughly half the size of a dolphin. They lived in the San Francisco Bay for thousands of years. But in World War II, the military strung a net across the Golden Gate Bridge and placed mines around the entrance. They were blocking enemy submarines, but the porpoises were blocked too. The nets and mines were eventually removed, but as the bay got more polluted, the porpoises did not come back. That is until 2008, when Keener's colleague first spotted some near Sausalito. "It was very exciting," Keener said. "And it wasn't just one animal, it was mothers with calves, so we knew there's family groups, and they are coming in to feed." Keener is an environmental lawyer and former head of the Marine Mammal Center. He and a handful of other experts now have a permit to study porpoises and figure out why they would return to an urban waterway full of boat traffic. "It could be the bay is cleaner and there are more fish," Keener said. "The bay is in a particularly productive period right now and that's very good and to have naturally animals come back into an area is pretty unusual." And even more unusual was a photograph Keener took April 30 of a rare white porpoise. "It appears to be the very first white harbor porpoise ever recorded from the Pacific Ocean," Keener said. In the last 100 years scientists have only documented six other white harbor porpoises anywhere in the world. The team is hoping this one will come back. And if it does, it's likely to be visible again from the Golden Gate Bridge. "It's one of the best places in the world to do porpoise research because unlike going out on a boat where you disturb them by your very presence, they don't know you are on the bridge," Keener said. Observers note the animals' scars and coloring to figure out who is who in the porpoise world. The porpoise photos reveal a rich social life with lots of interaction. Researchers believe one reason the animals are thriving is what is happening under water. Along the Northern California coast there are three marine sanctuaries protected by the federal government. "All of the animals, including the corals on the bottom, the worms in the mud, as well as the porpoises, it all cascades into being more positive for a healthier environment for all the animals," Gulf of Farallones Marine Sanctuary spokesperson Jan Roletto said. Casual observers can see some of that, including porpoises and a lot more, just by walking out on the Golden Gate Bridge. "It's a fantastic platform to view wildlife and I think local people don't realize that," Keener said. Harbor porpoises have also appeared in other areas around the central part of San Francisco Bay. Anyone who sees one, either a porpoise or a dolphin, is asked to report it to the Cetacean Research Group. Hands Across the Sand . . .
Blue Sway . . .
Our Beautiful Bodega Bay . . . HAPPY WORLD OCEANS DAY! . . .